The review analyzed published data about transport of ions of calcium in the mitochondria and presented some own results of experiments conducted on the smooth muscle of the uterus (myometrium). In particular, it was described the systems of mitochondrial Са2+- uniporter, «rapid mode uptake», mitochondrial ryanodine receptor, Na+-Са2+- and Н+-Са2+- exchangers, mitochondrial permeability transition pore. The possible functional role of Са2+ in mitochondria and their significance in maintaining of cell’s Са2+-homeostasis have been considered. The features of transmembrane exchange of Ca2 + in mitochondria for various pathologies was discussed. Keywords: mitochondria; Са2+-uniporter; «rapid mode uptake»; mitochondrial ryanodine receptor; Na+-Са2+-exchanger; Н+-Са2+-exchanger; mitochondrial permeability transition pore; smooth muscle; myometrium. Kosterin SA, Burdyga ThV. Transport and intracellular homeostasis of Sa2+ in myometrium. Biol Bul Rev. 1993;113(4) :485-506. [Russian]. Gunter TE, Pfeiffer DR. Mechanisms by which mitochondrria transport calcium. Am J Physiol. 1990;258(5 Pt 1):C755-86. Kosterin SO. Transport of calcium in the smooth muscles. Kiev: Nauk. Dumka; 1990. [Russian]. Veklich TO. Transport of Ca2+ in the smooth muscle cells mitochondria: Manuscript. 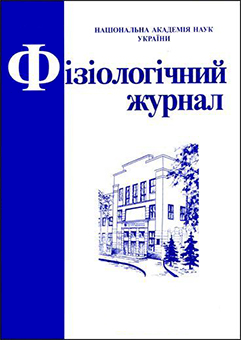 Kiev: Palladin Institute of Biochemistry of the NASU; 2003. [Ukrainian]. Akopova OV, Sahach VF. The influence of nitric oxide donors on Ca2+-uptake in rat heart and liver mitochondria. Ukr Biokhim Zh. 2005;77(2):82-7. [Russian]. Kolomiets OV, Danylovych YuV, Danylovych GV, Kosterin SO. Ca2+ accumulation study in isolated smooth muscle mitochondria using Fluo-4 AM. Ukr Biokhim Zh 2013;85(4):30-9. [Ukrainian]. Kursky MD, Kosterin SA, Burchinskaya NF, Shlykov SG. Passive transport of Sa2+ into fractions of myometrium mitochondria. Ukr Biokhim Zh. 1987;59(3):35-9. [Russian]. Kolomiets' OV, Danylovych YuV, Danylovych GV. H+- Ca2+-exchanger in the myometrium mitochondria: modulation of exogenous and endogenous compounds. 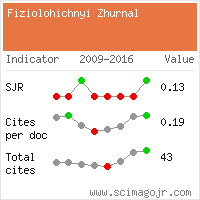 Fiziol Zh. 2014;60(5):33-42. [Ukrainian]. Vinogradov AD. Energy transduction in mitochondria. Soros Educ J. 1999 (9):11-19. Vovkanych LS, Dubytsky LO. Kinetical properties of the H+-stimulated rat liver mitochondria Ca2+ efflux. Exp Clin Physiol Biochem 2001;15(3):34-37. [Ukrainian]. Akopova OV. The role of permeability transition pore in transmembrane Ca2+-exchange in mitochondria. Ukr Biokhim Zh. 2008;80(3):40-47. [Ukrainian]. Giulivi C, Kato K, Cooper CE. Nitric oxide regulation of mitochondrial oxygen consumption I: cellular physiology. Am J Physiol Cell Physiol. 2006;291(6):C1225-31. Maléth J, Hegyi P. Ca2+ toxicity and mitochondrial damage in acute pancreatitis: translational overview. Philos Trans R Soc Lond B Biol Sci. 2016;371(1700) .